Celine Dion's son Rene-Charles couldn't believe Sia wrote a song for her. The Canadian superstar has one of the most recognisable voices in music, and over the course of her career has sold more than 100 million albums worldwide. While her style differs massively from eccentric singer/songwriter Sia, Celine didn't hesitate in saying yes when the Chandelier hitmaker offered her a song. "Sia is simply incredible, like no one I've ever met," Celine gushed to Billboard magazine. "My son RC - he's much cooler than I am and teaches me what music I should listen to - couldn't believe that Sia wrote a song for me. He's a huge fan, too. I not only fell in love with the song and the words, but also with Sia's absolutely beautiful voice: It's so powerful - like nothing I had ever heard." Their effort, 2013's Loved Me Back to Life, charted all over the world. During a performance of the track on The Ellen DeGeneres Show, Celine finally got to meet Sia, after asking her to come down and watch. Praising the 40-year-old for being genuine, warm and funny, 48-year-old Celine admits it was her who asked to get a photo - not the other way around. "She's an artist with a clear vision - for her songs, her videos, her performances. This industry can break you; it's tough. 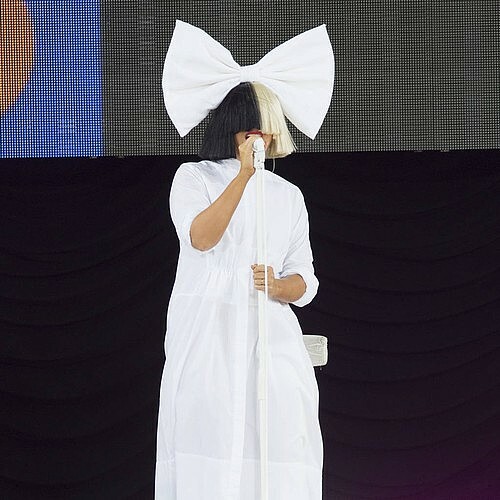 But Sia has managed to carve out her own path, on her own terms and in her own time," she smiled. "I'm mesmerised by her confidence, and I constantly look forward to what she'll do next. She's the true definition of an artist, one I so deeply admire. I'm one of her biggest fans, and it has been such a joy and honour to get to know her."